It’s been said before and I’ll say it again, 2017 has been an incredible year for video games. From AAA blockbusters like Super Mario Odyssey and Horizon Zero Dawn to indie sleepers like Rime and What Remains of Edith Finch, this year has plunged gamers into engaging storylines and worlds with endless exploration. Now, 2018 will be here before we know it and the video game lineup, for both AAA and indie games, looks very promising. Here’s what we’re most looking forward to playing next year. From the developers of classics such as Banjo Kazooie and Conker’s Bad Fur Day comes a new multiplayer pirate adventure. Sea of Thieves captures the pirate’s way of roaming the open ocean, exploring new islands, and of course engaging with other ships at sea. Players will be able to confront each other or work together throughout their adventures. Including both epic at-sea battles and first-person sword combat, Sea of Thieves is sure to impress. Imagine Skyrim meets historical accuracy. That’s what we’re going to see with Kingdom Come: Deliverance. Based in 1403 Bohemia, the heart of Europe, this open-world RPG follows Henry, the humble son of a blacksmith. Using brute force or diplomacy, players will navigate the historical Bohemia on a quest to avenge Henry’s family. Your choices and reputation spread quickly, so players must always be aware of the decisions they are making. Plus, you’ll get to participate in actual battles and castle sieges from history. Spider-Man games have had a decent history of success in the video game realm. However, the upcoming Marvel’s Spider-Man for PS4 is generating a lot of hype. 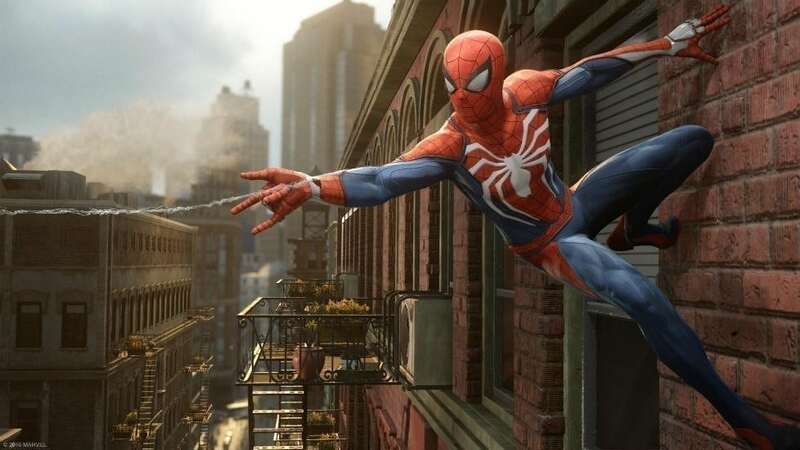 The open-world game sees Spider-Man swinging and wall-crawling through the city of New York as he attempts to keep the peace. Utilizing acrobatics and stealth, this looks to be one of the more accurate Spider-Man games to date. After Wilson Fisk (The Kingpin) is put behind bars, Peter Parker must face the unintended consequences (perhaps with the help of Miles Morales?). I might have to finally purchase a PS4 just to play this game. In a time when video games have been dominated by detailed single player stories and massive online multiplayer gaming, it’s refreshing to see an exciting cooperative game coming out. In an attempt to break out of prison, Leo and Vincent must work together to find their freedom. With gameplay situations that will force players to fight, flee, or hide, A Way Out looks to be an engaging game that encourages cooperation. Video game reboots can be hit or miss, but I have a good feeling about Psychonauts 2. The first installment was released in 2005 and captured players with its strange, psychedelic storyline and creative gameplay. With Double Fine Productions still at the helm of the Psychonauts series, players can be confident that this sequel will deliver. Little is known about the game’s plot thus far, but apparently the Psychonauts must embark on a journey to stop a psychic little girl controlling nuclear bombs. No pressure? I have to admit, I’ve been waiting for this game for a long time: 12 years to be exact. While there have been many (lesser, in my opinion) Kingdom Hearts installments since Kingdom Hearts 2, I am very excited to jump back into the main story line and follow the adventures of Sora, Donald, and Goofy. With classic worlds like Agrabah and Atlantica making a comeback alongside new worlds like Sanfransokyo and the currently unnamed Toy Story world, Kingdom Hearts 3 looks to echo the whimsy of past games while bringing in new weapons and an updated gameplay style. Who wouldn’t want to adventure through a fantastical world as an adorable fox? The upcoming indie game Tunic may have a simple, top-down design, but it is mesmerizing all the same. Follow your foxy friend through a world of enemies and secrets waiting to be discovered. There isn’t a whole lot of information available for this game just yet, but I have a feeling it will impress in the indie realm. And now, from the same creators as Psychonauts comes a delightful new game. Ooblets looks to be a mix between Pokemon and Viva Piñata. Players will plant and farm creatures to adventure with. As you quest through a variety of different worlds, your adorable creature-friends level up as they battle other wild animals. The game comes with a lot of customization as well, allowing you to design your own avatar and room. The cuteness alone of Ooblets should be enough to make this game a hit.